A ceremony for the repatriation of 26 ancient artifacts taken illegally out of Greece during the German occupation took place on Monday November 20, 2017 in the offices of the Greek Embassy in Vienna. They are eleven ancient artifacts of the Minoan period (eight ceramic vases, a fragment of a vase, a stone vessel and a table oil lamp), five ceramic vases and two oil lamps from the Classical /Hellenistic period, four fragments of ceramic figurines, a ceramic pebble used for voting, a ceramic loom weight, a bone garment pin and a stone object with holes. According to the announcement by the Ministry of Culture and Sport, the ancient artifacts are among those illegally removed in 1941 by the German general Julius Ringel from the Stratigraphic Museum and the Julius Ringel fin Knossos and then donated by him to Graz University prior to 1945. Identification of the antiquities was made possible thanks to Graz University having recently recorded and documented antiquities associated with Nazi activities during the Second World War. 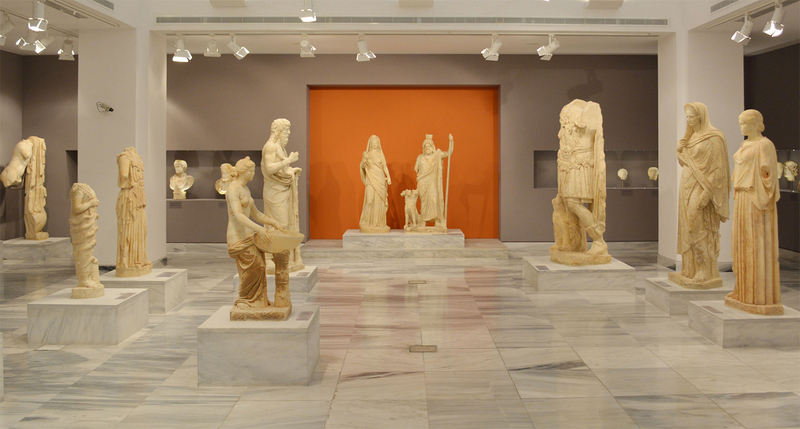 After identifying the artifacts, Graz University expressed in writing its intention to return the stolen antiquities to Greece. The coordination up to the final planning of the ceremony for the delivery, reception and repatriation of the antiquities was undertaken by the Department of Documentation and Protection of Cultural Goods (General Directorate of Antiquities, Directorate of Administration of the National Archives of Monuments, Documentation and Protection of Cultural Goods), in collaboration with the Greek Embassy in Vienna. On behalf of the Ministry of Culture and Sports, the ceremony was attended by the Secretary General of Culture, Maria Andreadaki-Vlazaki and the Head of the Directorate of Administration of the National Archives of Monuments, Documentation and Protection of Cultural Goods, Vasiliki Papageorgiou. The antiquities will be transferred by air to Greece, their final destination being the Heraklion Archeological Museum.